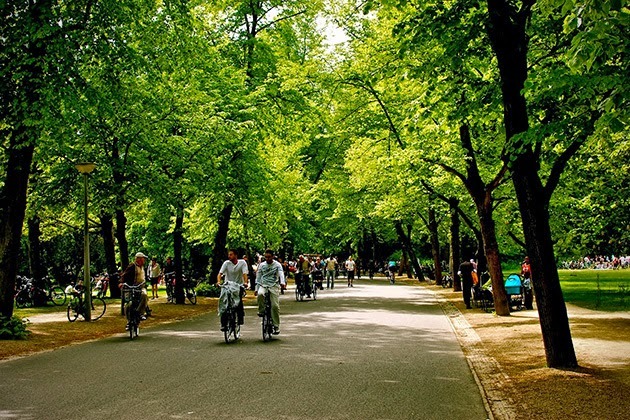 What would we do without our urban city parks? They provide an oasis from the rush of train and traffic, an escape from the sirens and horns that are an indelible part of life in the metropolis. In stark contrast to their surroundings, they keep us connected to a natural, and possibly more sane environment. Amazingly, like the Rambles in Central Park, they are often home to a variety of bird life, or a rest stop on a long journey of migratory peregrinations. We come to them for some quiet space, a leisurely stroll beside a lake. They are for runners, joggers, riders and bikers. We reach out to them for their music, for plays performed in open-air theaters, the museums that line their edges. They are as diverse as the cities we’ve built around them. Here are 14 of some of the very best parks in the world.